during the ADIRONDACK 540. More photos HERE. 1. TEAM WHAT THE HELL WERE WE THINKING! 18H:35M NEW COURSE RECORD! 1. John Nobile 54 Guilford CT 07H:51M 540 RECORD HOLDER! 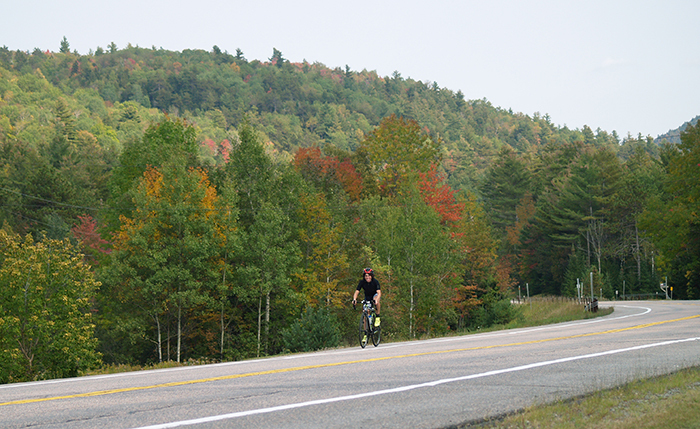 Brian Buurma making his way out of Keene Valley during the ADIRONDACK 540 GRAN FONDO. More photos HERE.